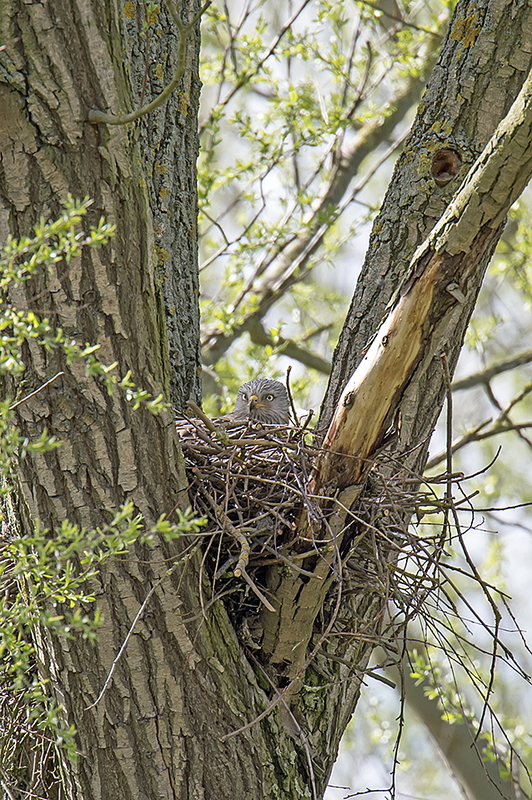 Red kite on the nest. D4, 600mm + 1.7TC. DX crop mode. 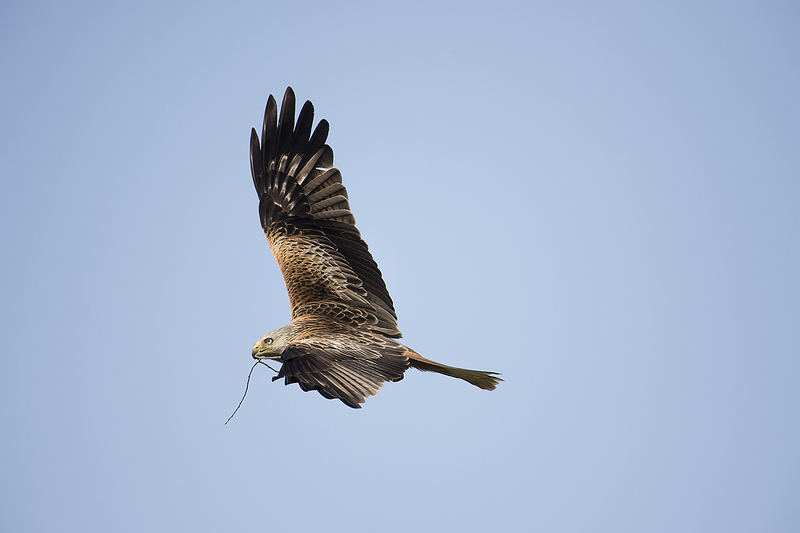 Red kite returns with nesting material. D4, 600mm + 1.7TC. 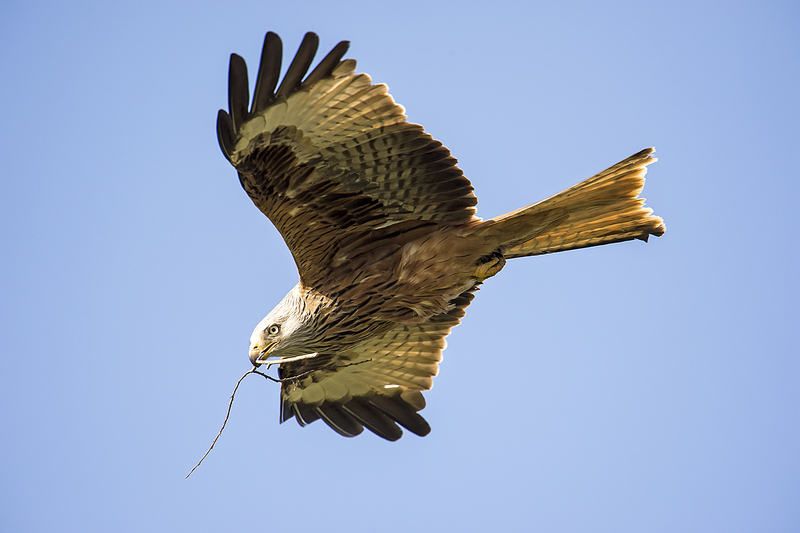 Red kite in flight with nesting material. Part of the same sequence of images as the previous two. D4, 600mm + 1.7TC. The last image is destined for the reject bin. 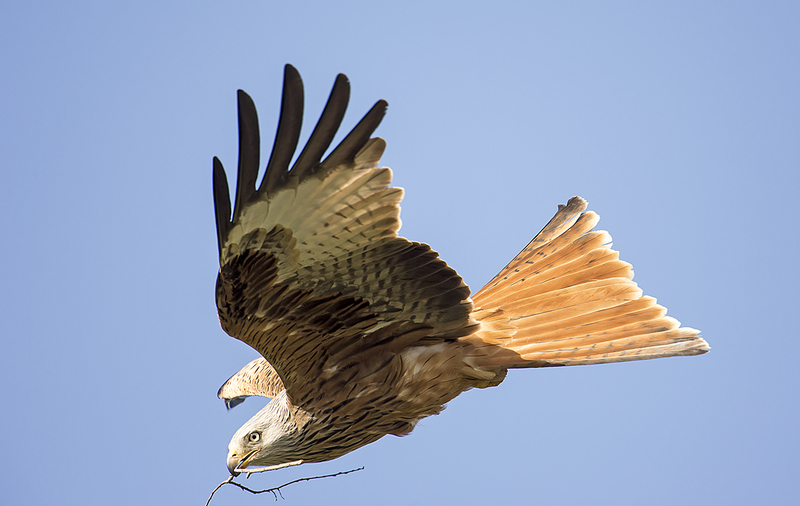 I was observing the kites and I knew from the behaviour something was about to happen. 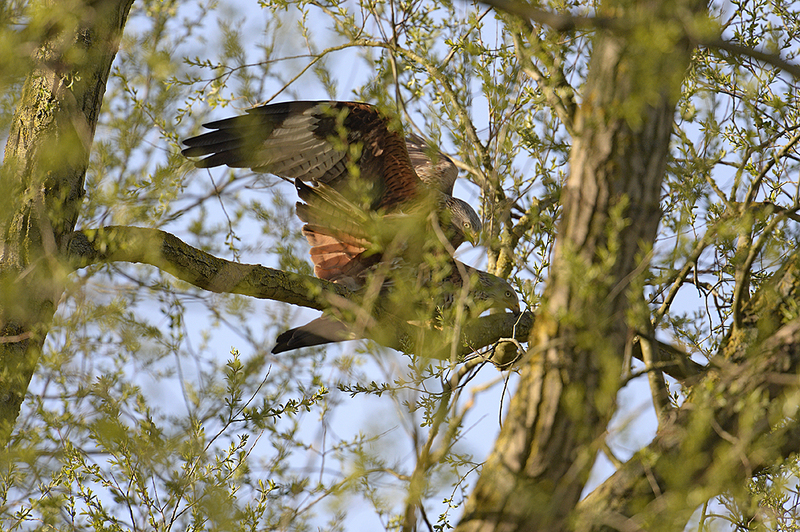 Sure enough both kites landed in a nearby tree and began to mate. This lasted for less than a minute, unfortunately for me it was a windy day with swaying branches and leaves obscuring the view. Red kites mating. D4, 600mm + 1.7TC.